ey guys! I had so much fun doing my first perfume workshop, I've partnered up with Embellish Multispace Salon here in Tacoma to host another! It will be on Saturday, Oct 25th, at the Salon! It was so awesome smelling all the scents people came up with at the last workshop, I'm excited to be able to do another workshop. As I mentioned before I've never liked perfume, and kind of hate most perfumes I've sampled at stores like Macy's and Nordstrom's perfume counters. Normal perfume is so strong, often will give me a headache, and I feel like it smells more like chemicals than any of the notes they list on the bottle. 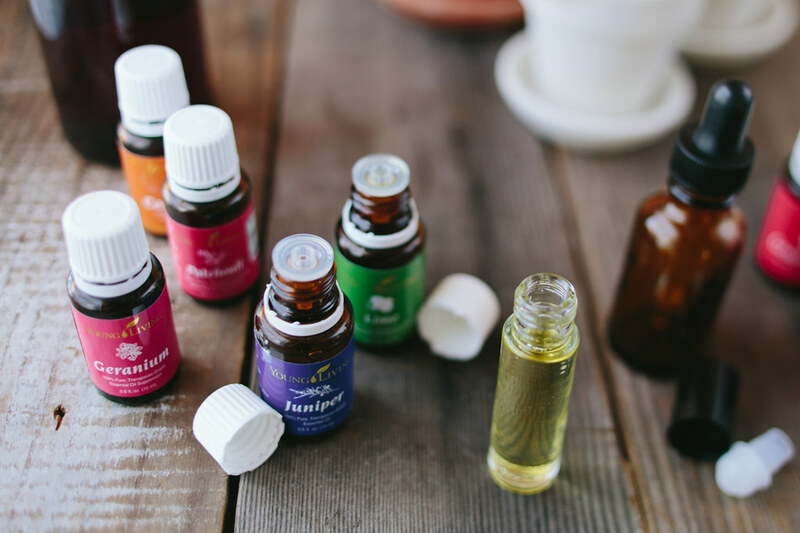 I love perfumes made with essential oils because not only are they natural, they don't stay super strong for hours after you put them on. They're stronger when you sniff them straight out of the bottle and right when you put it on, but they mellow out while you wear them and have a pleasant smell that doesn't intoxicate a room for minutes after you leave, like I've found many typical perfumes to do (I always feel like Spongebob running through the perfume department after someone walks by with strong perfume or cologne). The scents play off of one another, integrate into one another, and change with your personal body chemistry once you apply them. The other awesome thing about using essential oils for your perfume? You can craft your perfume to support your health! 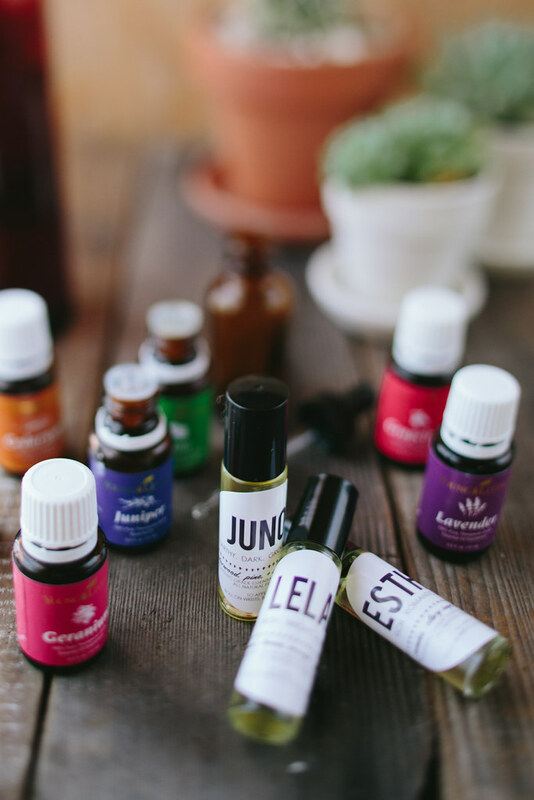 Essential oils can be an amazing way to stay healthy, balance hormones, and regulate emotions, so you're doing the body good and smelling awesome too. There are only a few spots available in the class, so if you'd like to sign up, head over to Embellish's website and click "Book Now" to secure your spot! Just mention that you'd like to take the Signature Scent Class in the "Type of Service" and "Message" space! 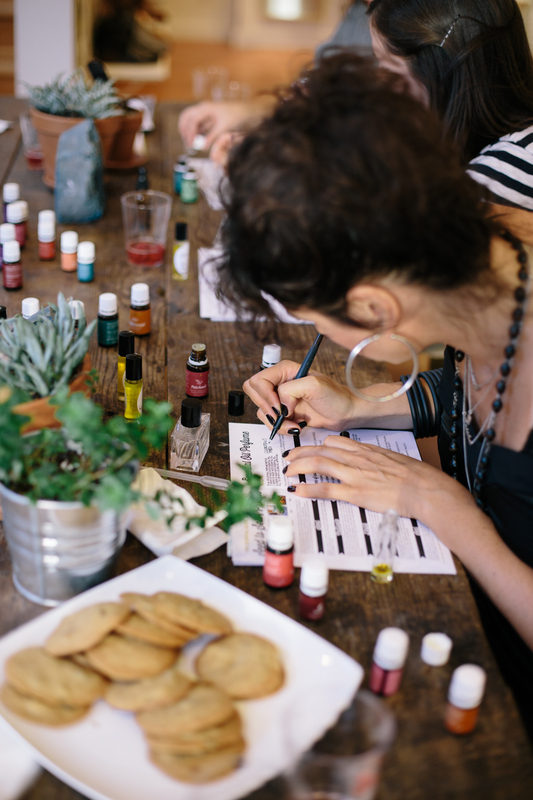 You'll learn all about essential oils, their various uses, AND create your own vial of perfume to take home with you. 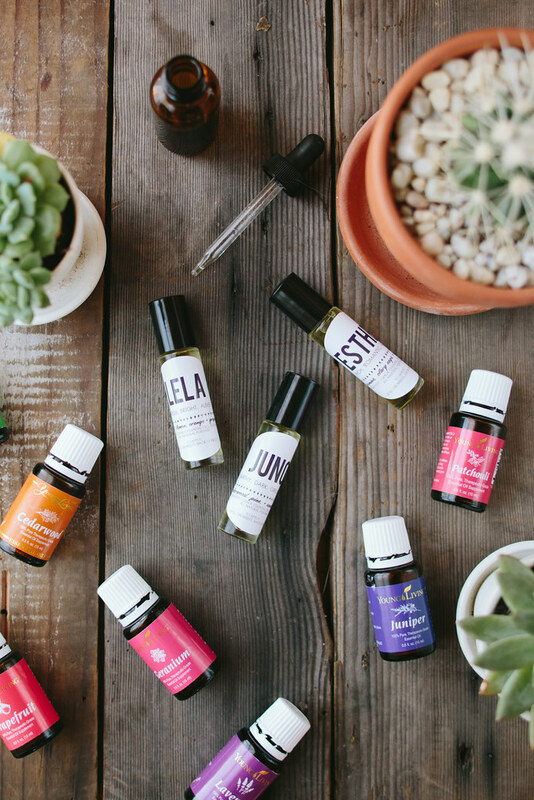 I'll have tons of different essential oil scents to choose from and teach you how to create a great scent profile for your signature perfume! If you haven't been to Embellish before you're in for an extra treat because they're just starting to carry some locally created products by Pepper Pot Polish and Earth Nerd! You'll get to browse around their products and you'll have a chance to buy any of the items you can't live without! 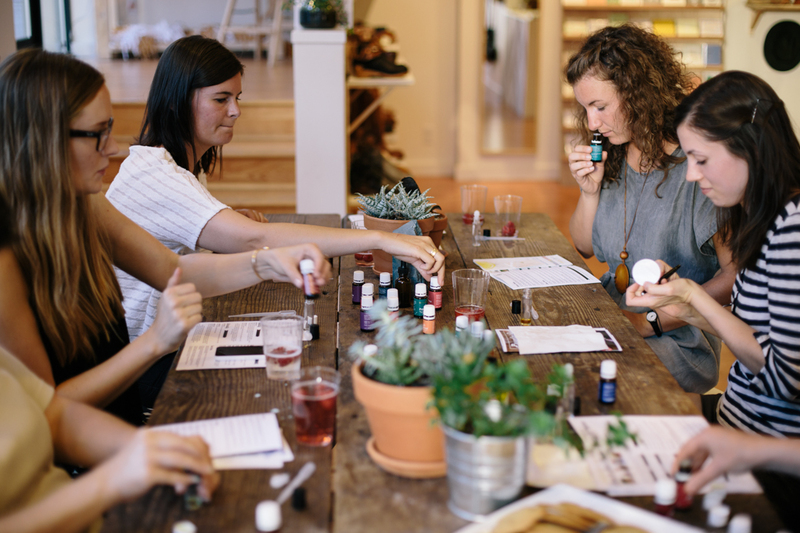 Pepper Pot Polish is an amazing handmade nail polish brand made without toxins and Earth Nerd makes all sorts of lovely products, from salves to lip balms, soaps and more. 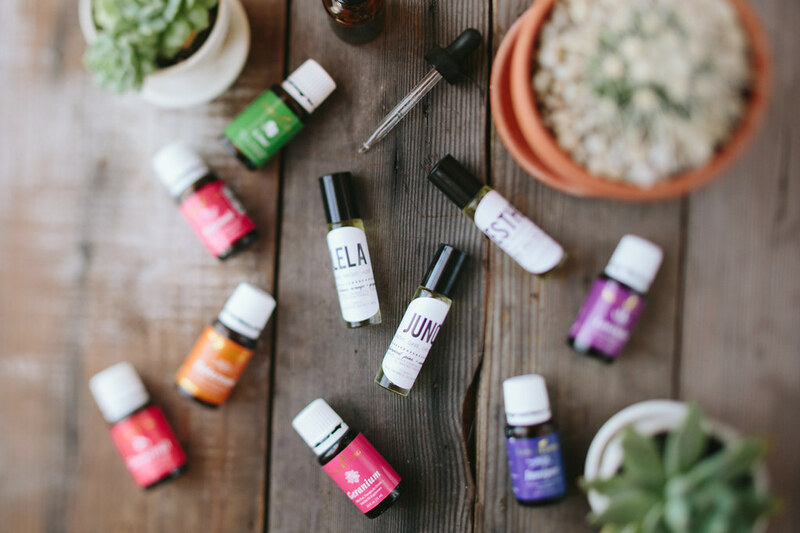 You will have the opportunity to play with layering different notes and scents to decide what essential oils blend best for you. 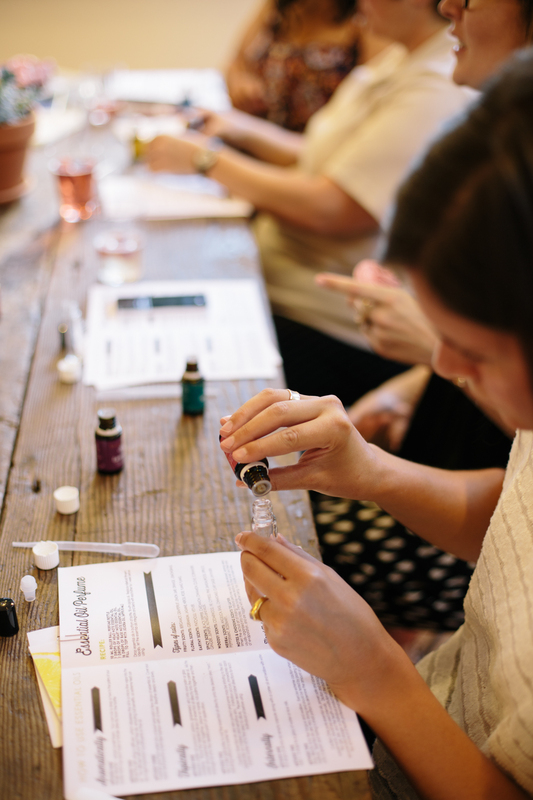 Students will also learn the other elements to creating perfume beyond the essential oils themselves. 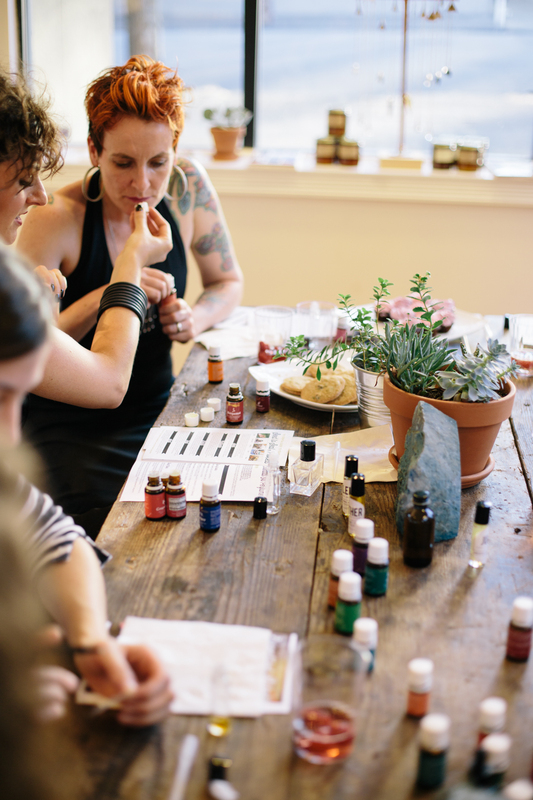 Beyond perfume making, students will also learn how to integrate essential oils into other uses for home and health. A 10mm vial of your custom essential oil perfume. Yourself! With an excitement to learn a new skill and make a few new friends :) All supplies, plus snacks and drinks will be provided for you.